As a snack in the late afternoon, Don't consume at night and before bed, Eat the fresh ones, avoid mixing with any other foods, don't eat after meal. Fast foods, canned products and processed foods are causing several health issues like obesity, high-low blood pressure, low metabolism rate, etc. What is the best and natural solution for these problems without compromising on taste? Obviously fruits! They are the best natural foods for the overall well being of human body and consumption of fruits in right amount can help achieve a fit and healthy lifestyle. 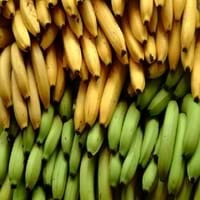 So what are the health benefits of Banana? 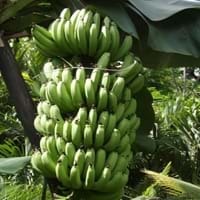 Banana benefits are many but few important ones are: muscle pain relief, piles treatment, prevents constipation, skin cleansing, ulcer treatment, diarrhea treatment and cancer prevention. Some of the general benefits of this fruit are: controls blood pressure, digestive aid, maintains healthy cholesterol level and strengthens bones. Keep reading to learn more about Banana benefits which includes skin & hair benefits. Also learn about its allergy symptoms and side effects. Fruits are considered to be the healthy foods but some constituents of fruits may not suit your body type. Hence, such fruits can trigger an allergic reaction which can be injurious to health. Fruit allergic individuals can display different reactions to the same type of fruit. Along with Banana Benefits, we are also providing you the information about the possible allergy symptoms that can occur after consuming this fruit. 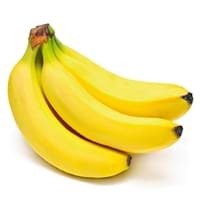 Allergy symptoms of Banana include abdominal pains, decrease in blood pressure, dizziness, hives, itching of mouth, lightheadedness, swelling, swelling of mouth, tongue or lips, weak or racing pulse and wheezing.